Individuals in NJ and PA who are seriously or catastrophically injured in a dog attack are frequently among the most undercompensated accident victims in our legal system. Dog bites and attacks frequently cause serious injuries and in some cases, death. In some instances, individuals may suffer limb amputations or the loss of the use of a limb. The physical and emotional scars are often long lasting. Children are especially prone to dog bites and attacks, and when children are attacked, the injuries are often to the neck, face and head. If not fatal, these injuries often lead to significant scars. Children who are seriously attacked by dogs often sustain deep emotional trauma. Unfortunately it is not always possible to obtain full financial recovery in dog bite and attack cases. Injuries that would, in other situations, result in full financial recovery are often limited in dog bite cases. Almost always, the dog bite case begins and ends with a case against the dog owner. For all practical purposes, the dog owner's homeowner's insurance coverage is the sole source of recoverable assets. If the defendant dog owner has only $100,000 or $300,000 in coverage, that is the extent of the attack victim's recovery. Because of the often limited source of financial recovery (from the dog owner), it is crucial to investigate a dog bite case for liability of other parties. Under the laws of Pennsylvania and New Jersey, parties in addition to a dog owner may be held liable for a dog bite or attack. The key is proving negligence. Injury lawyer Dan O'Brien has successfully pursued the serious and catastrophic dog bite case way beyond the dog owner. Dan has a proven track record of success in pursuing the catastrophic dog bite case against dog breeders, dog trainers and those engaged in the business of selling dogs. Dan has utilized the services of some of America's foremost experts in the fields of dog handling, dog breeding and animal behavioral science to assist him in successfully pursuing these complicated and novel cases. Dog breeders and trainers can be held liable for negligent breeding or training tactics. In one case, Dan pursued a lawsuit against a dog training company after a mother was attacked by her dog after it came home from a 2 week dog training program. Dan used expert witnesses in canine behavior and also located former employees who were able to provide information about the company’s training tactics. Ultimately, the case settled for $1,000,000. Read more about that dog bite lawsuit here. In addition, business which sell dogs can be liable for negligence as well. Breeding overly aggressive dogs or failing to warn individuals of a dog’s propensity often form the basis for negligence lawsuits. Pursuing theories of liability against individuals and companies other than a dog owner can be very complicated, time-consuming and expensive. This type of investigation and litigation is only economically practical in cases involving very serious, permanent injuries. 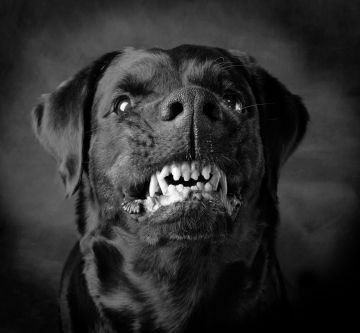 Victims of dog bites and attacks in Pennsylvania and New Jersey can obtain fair and reasonable monetary compensation for their injuries. Claims are commonly made for pain and suffering, medical bills and lost wages. In addition, because dog bite injuries often result in critical injuries, individuals are often entitled to compensation for future pain and suffering and future medical bills. Dan is so passionate about this type of case that he has written a book, entitled, "The Pennsylvania and New Jersey Dog Bite Book." This book is offered free to anyone who would like to read it. You can order your copy by clicking on the appropriate link on this website. Daniel J. O'Brien and White and Williams serve clients in Pennsylvania and New Jersey, including the following areas: Philadelphia, Conshohocken County, Montgomery County, Lehigh County, Northampton County, Luzerne County, Lackawanna County, Camden County, Mercer County, Monmouth County, Burlington County, Ocean County, Atlantic County, Cape May County. Children and Dog Bites & Attacks at a Relative’s House – What Are Your Legal Rights? When is a New Jersey Dog Owner Strictly Liable for Injuries Caused by their Dog? Can You Sue After A NJ Non-Bite Attack? I was bitten by a dog after I was invited to someone's home in New Jersey. I have deep puncture wounds and was told that I will have scarring. What do I do with my future medical expenses? My 3 year old son was bitten in the face by a dog in PA and is probably going to need more surgery when he is in his teens. Should we sue now or wait until he is older? My young son was riding his bike when a neighbor's dog lunged at my son. He tried to avoid the dog, fell off his bike and broke his leg. What can we do? Posted on 11/9/2015 Children and Dog Bites & Attacks at a Relative’s House – What Are Your Legal Rights?